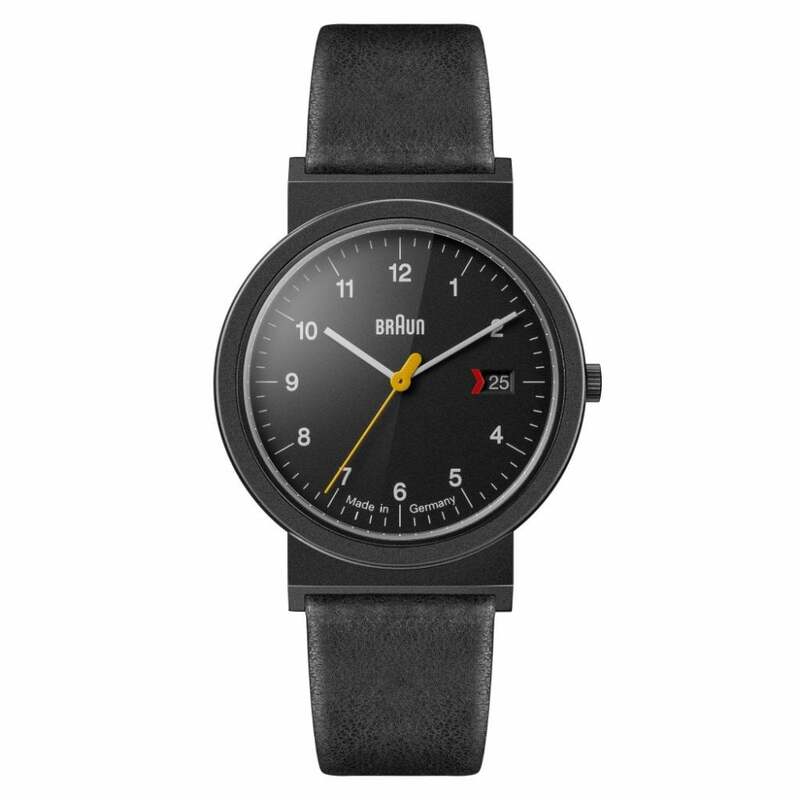 The Braun AW10EVOB Classic Black Leather Men's Watch comes with a black leather strap sitting on a black stainless steel case, a black dial with a date display. This watch comes with a 2 Year Tic Watches Warranty. Tic Watches are official UK stockist’s of Braun Watches so all our Braun Watches come complete with the necessary Braun Watch packaging and 2 year’s manufacturer’s warranty from Braun. So if you are looking for a Braun Watch look no further than Tic Watches.